In an act that seemed reminiscent to its apartheid past, guards on a beach in Cape Town, South Africa , ordered its Black residents to leave, which caused protests to erupt in Clifton 4th Beach, one of the most beautiful beaches in Cape Town. According to the BBC private guards, hired by local residents ordered all Black people to leave the area. CapeTown mayor, Dan Plato, would later say in a statement “We will not allow any private organizations to limit access to our public spaces,” and the guards “had no authority to ask anyone to leave Clifton beach”. According to the Sun, CapeTown Deputy Police Minister, Bongani Mkongi, claimed the police would “go hard on the security company”. According to many South African activists, these illegal apartheid era-racism is not uncommon. According to The Grio, Chumane Maxwele, a local activist involved in the protest, claimed often security guards are instructed not to allow Black people onto the beaches. 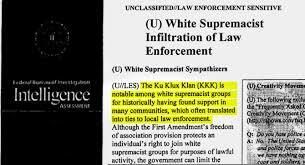 The FBI acknowledges that white supremacist and white-hate groups have infiltrated law enforcement in the United States, according to a classified 2015 counterterrorism policy guide that was obtained by the Intercept. 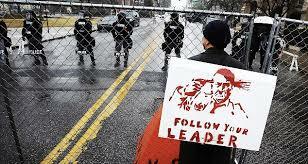 Daryl Johnson, a former Department of Homeland Security, researcher states: ” Federal law enforcement agencies in general-the FBI, the Marshals, the ATF are aware that extremists have infiltrated state and local law enforcement agencies”.